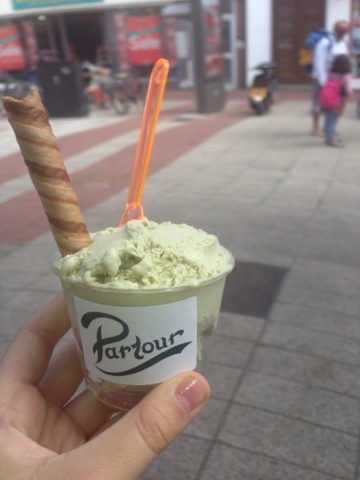 A new ice cream parlour has opened up in Southsea! It's called Parlour. I had a pistachio and rosewater ice cream. It was really good. I had 1 scoop at that was definitely enough because the ice cream was so rich! It was £3 so i think it will be more of a place i go for a treat than a regular haunt. This is what I wore. 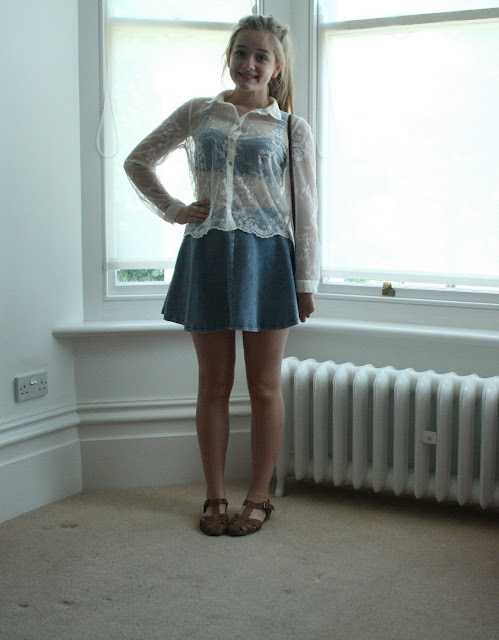 I wore my skater skirt with a chambray bra let with a lace shirt over the top. 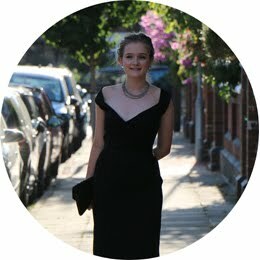 It was perfect for going shopping as I was nice and cool but the lace top mde me more covered up as i wouldn't be comfortable going shopping in just a bralet i would feel too exposed. When we got home I started knitting the sleeve of my jumper. It is from the amy butler book Farmhouse Knits. 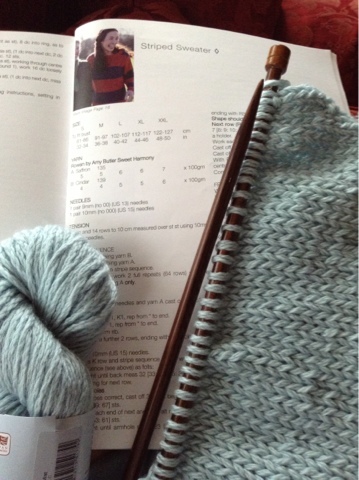 I am making the Striped jumper but without the stripes the colour I am using is Mint. It is my first ever try at knitting a jumper. After I finish this sleeve I have to do the neckband then I am done.